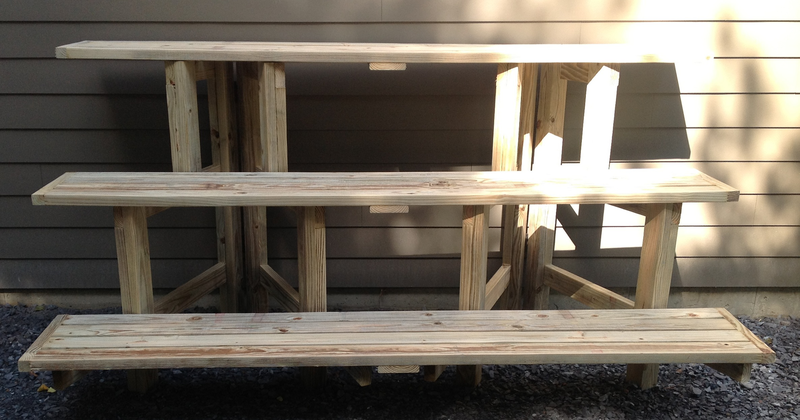 The club has chosen a spacious three-tier bench for this project. Myron has modified the plans to make it portable and storable, and it features three eight-foot shelves of treated wood for plenty of tree space. If you need better benching for your trees this is your chance. Only those who have paid by July 18 will have materials purchased for them. Send your $195 check made out to MHBS to Molly Beverage at 285 Hickory Hollow Road Pawlet VT 05761. Volunteers are needed to pick up supplies, bring tools and food, help construct. Contact Pauline to volunteer. Founding member Josie Biondo’s family have given us a large portion of her pots and bonsai items to sell. The club will receive 50% of the proceeds. Cash or check only. Pauline needs a small crew to help prepare pots for the sale. Email or call if you can help on Friday July 25 after lunch. Save the Date—August 22-24—for a giant stock sale with Mark Comstock and Jim Doyle.